Lasko is known for their great heaters, but it can be hard to figure out which model is the one that will best suit your needs. After looking at a lot of models online, it can feel like you went over a lot of information but can’t tell what is useful and what is misleading and should be ignored. If you want to make sure that you get great value for your money, and find a model that works for you, then you’ve come to the right place. Our reviews are designed to walk you through the pros and cons of each model and leave you feeling like you really understand them. We’ve also included a buyer’s guide which is designed to help you understand heaters in general so that you can go into your purchase with all the knowledge you need to make a great buy. 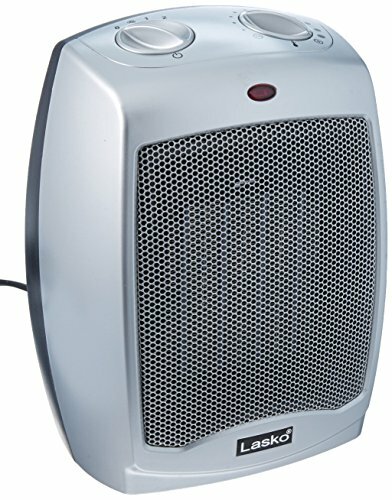 The Lasko 755320 Ceramic Space Heater is easily the best Lasko heater on the market today. It runs quietly, making it a great addition to spaces where noise matters. This could be a bedroom or a nursery, or a room with a television that you don’t want to keep turning up in order to hear. It also comes with an automatic setting, which focuses on keeping the room at your desired temperature, while also maximizing energy savings, which is good for the environment and saves you money. This heater oscillates, which helps it more evenly heat the room than many models will. As an added bonus, it comes fully assembled, so you can get your room up to a comfortable temperature just a few minutes after opening the box. The only real issue with this model is that it sometimes heats too much, and you’ll need to turn it down periodically. However, it’s almost always a good thing to be too warm instead of too cold in the winter. If you’re looking for the best of the Lasko line, this model is one that most people will love using and can trust to keep their homes warm for many years. 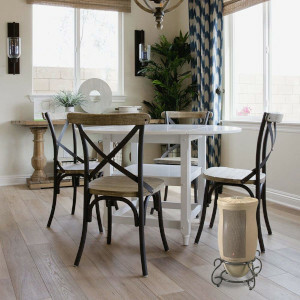 If you’re looking for a more stylish heating solution, the Lasko 6435 Designer Series Ceramic Space Heater could be the model for which you’re looking. It has a fantastically stylish exterior that will look great in most homes, no matter what décor you’re using. It also comes with a built-in timer, so you can set it to run for up to seven hours at a time before automatically shutting off. That makes it a great heater choice for people who like to entertain. It also comes with a cool-to-the-touch exterior, which means a partygoer, guest, child, or pet will never accidentally burn themselves on the unit. It comes fully assembled, so you won’t have to mess around with confusing directions or parts that don’t quite fit together right with this model. There’s one thing that many people won’t like, however, and it’s that the temperature adjustment comes in five-degree increments, which means some people will still be either too hot or too cold with this heater. Still, if you’re looking for a heater that looks great and comes with a lot of great features, then this is easily the model for you. If you want to invest in a great Lasko heater, but don’t want to break the bank in order to do so, the Lasko 754200 Ceramic Portable Space Heater is the model for you. You can get this model for about 40 percent less than what you’d spend on the top two models on our list, making it a great choice for people shopping for heat on a budget. It weighs about four pounds and comes with a convenient carrying handle, which makes it a great model for people who will heat different rooms throughout the day. It also runs very quietly, making it a good choice for bedrooms or offices where extra noise would be an unbearable nuisance. However, this model lacks tip-over protection. That means it won’t turn off if it’s knocked over. While electric heaters aren’t as likely to start fires as other heaters, there’s still a risk, and that risk goes up without tip-over protection. This model also has questionable durability. It will last years for some users, though a small number of units seem to last months, instead. Overall, heats well and comes at a low price making it the best for the money. We hope that our reviews have already helped you understand what separates the very best of the Lasko line from the models that are merely very good. If you want to learn more about heaters, make sure you check out our buyer’s guide. We’ve filled it with a lot of good general information about heaters so that you can go into your next purchase knowing everything that you need to know and can make a great decision. We’ve also included information on getting the best value for your money, so if you’re looking to get a great deal, read on. Different heaters use different techniques to keep you warm. Most heaters rely on convection heating. They use a fan to blow air past very hot elements. That hot air slowly warms the room and brings it up to the temperature you set. No matter where you are in the room, you’ll feel warm. However, since these models use fans, they tend to be very noisy. You may not want to use them in an office or a bedroom. The other common kind of heater is radiant. Instead of warming the air, these heaters produce infrared light, which warms objects and people. While the air in the area won’t get warmer, if you’re in the line of sight of the machine, you’ll feel warmer. The plus side is that these machines don’t need a fan to work, so they’re quieter than other models. However, they won’t bring up the temperature in the room, so you don’t get any benefit if you’re not standing in the direct path of the heater. All heaters bear some element of risk, even if electric heaters are far less likely to start a fire than most other heater types. Of course, there are some built-in features that you can get that will increase safety. The most important of these is the automatic tip-over protection. If a heater falls on its side or its front, it will heat the same spot on the floor for a long time, greatly increasing the chance of a fire. Automatic tip-over protection turns the machine off if it falls over, which prevents a dangerous overheat. Many models also come with overheat protection. If a heater gets too hot, it could melt the exterior casing or otherwise cause a fire, and overheat protection automatically turns the machine off if it reaches a certain temperature, which greatly improves safety. If you’re planning to heat more than one room in your home, there’s a good chance that you’ll to move your heater around to do so. You don’t want to accidentally burn yourself, and you want to have as easy a time as possible, so you should make sure you invest in features that improve portability. Some models are designed so that their outer surfaces don’t heat up, which makes it easy to move these machines around when the time comes. Handles are also designed to stay cool, so a model with a handle should always be safe to touch and move. Finally, wheels make moving a large model around far easier and are something to be on the lookout for. Which Lasko heater is right for you? Many people focus too much on price when they go to make their order, and that leads to them getting a cheap model that breaks down or they don’t like using, or they overpay for a model that has features that they’ll never use. In either case, they got poor value, and won’t be happy with their purchase. If you’re looking to get good value for yours, start by figuring out what kind of performance you need out of your heater, and what features will lead to that kind of performance. Then, make a list of all heaters that come with those features. Rank them from least to most expensive, and then choose the cheapest model. That model will have every feature you need, and since it comes at the lowest price, will be the best value for your money for you. The Lasko 755320 Ceramic Space Heater is our favorite of the Lasko heater line and one that most people will love. It comes with quiet operation, an automatic setting, and comes fully assembled. In second is the Lasko 6435 Designer Series Ceramic Space Heater, which features a stylish look, a built-in timer, and a cool-to-the-touch exterior, which is extremely safe. If you could set the temperature more precisely than in the five-degree increments it allows, this model could easily come in first place. 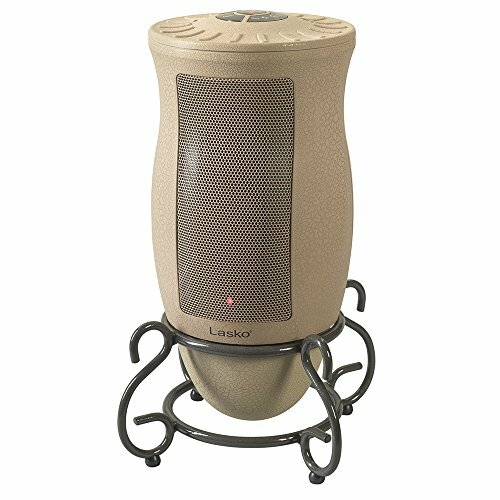 If you’re looking to save some money, the Lasko 754200 Ceramic Portable Space Heater is the best for the money. It runs quietly and is very portable, in addition to its very low price. We hope that our reviews and buyer’s guide have helped you find the Lasko heater that is right for you. You should be able to keep your home warm at a great price from now on.